Is there anything better than a nice cup of tea? Even the very word itself is soothing and comforting – like a hug when you need one most. A steaming hot mug of tea is the first thing I reach for in the morning, and quite often a herbal tea is one of the things I reach for last thing at night. I measure my days based on my tea consumption – a good day if I’ve had plenty cups, and a bad day if tea has been in scarce supply. In short, there are few things I love more than tea. What if your beloved cup of tea is hiding a dark secret? Well, I’m afraid to be the harbinger of doom, but much like the animal fat in £5 notes scandal, there is a bad side to your benign cup of tea, and that is plastic. Not just the plastic wrapper on the box, or the plastic pouch some teas come in, but plastic actually in the teabag itself. Let that sink in a moment – there is plastic in the teabag. You might be wondering why there is a need for plastic to be found in teabags? Well, plastic (polypropylene to be exact) is apparently added to the paper teabag to help heat seal them during manufacture so they don’t come open in the box, or in your cup. It also means though that these tea bags aren’t 100% biodegradable, which is a bit of problem in that those tea bags you are composting are leaving bits of microplastic in the soil. Teapigs got back to me first (within minutes) to let me know that all of their teabags do not contain polypropylene. Instead, their teabags are made from a by-product of corn starch known as Soilon. Soilon is a bioplastic, which means these types of teabags are not suitable for composting at home – they require high temperatures to be able to compost – so should only be placed in your food waste bin provided by your local council. They will not biodegrade in a home compost system or in landfill so it’s important to be mindful in how you dispose of them. There are a few issues with bioplastics made from corn – this article is a good starting point, but the main point is that they are often made from GM crops. Packaging wise, the clear inner bag used to be polypropylene, however, Teapigs say their teas are now packed in Natureflex, a completely compostable material made from wood pulp, which can be composted at home or in your local council food waste bin. Taylors of Harrogate (who also make Yorkshire Tea and Betty’s Tea) say that “we can confirm that we are working with our supplier of teabag paper to develop a paper that is 100% plant-based, but right now our tea bags do contain polypropylene as part of the fibres“. Twinings have several different types of teabags available on the market. They say that “our standard teabags, used for Earl Grey and English Breakfast, to name a couple, and many of our infusions and Green teas are produced from a natural plant-based cellulose material and contain no plastic in the fibres. However, these teabags are “heat sealed” tea bags, and so the paper also has a very thin film of polypropylene, a plastic, which enables the two layers of the tea bags to be sealed together“. Meanwhile their ‘string and tag with sachet’ tea bags, also contain a thin layer of plastic polyethylene to help seal up the sachets. The only Twinings product that doesn’t contain any plastic is their pyramid teabag range – whereby the material is derived from maize starch and is fully biodegradable and compostable (via your local council food waste bin, rather than at home). Rather annoyingly though, many of their pyramid tea bags seem to come in plastic bags rather than boxes. Pukka Tea told me their teabags do not contain polypropylene or any other plastic – their teabag is sewn shut by machine with cotton thread. They even went on to say their teabag paper is made of a blend of natural abaca (a type of banana) and plant cellulose fibres, and their supply of tea bag paper is also Totally Chlorine Free and unbleached. They are staple-free and 100% biodegradable and/or recyclable. The tea bag strings are made from 100% organic, non-GMO, unbleached cotton. Each tea bag is individually packaged in a plastic sachet though, so the one downside is that there is a bit of plastic waste from one box of tea. PG Tips pyramid tea bags are now made from a plant-based material that is 100% renewable and biodegradable. Again, like Teapigs, this bag is a bioplastic produced from corn. Again, these should be placed in your local council food waste bin rather than your home composter or in your landfill bin. I haven’t had a chance to check out the pyramid teabags yet, but any teabags I have had from PG Tips in the past tend to be wrapped in plastic, so I would be interested to learn if the box is wrapped in plastic. The Unilever-owned company also says it is working to make all its teabags from 100% plant-based material by the end of the year. They told me via email in June 2017 that their current standard teabags “are made with 80% paper fibre which is fully compostable along with the tea leaves contained in the bag. The remaining packaging includes a small amount of plastic which is not fully biodegradable: this is needed to create a seal to keep the tea leaves inside the bag“. Tetley say their round and square teabags are made with 80% paper fibre, and 20% thermoplastic. Their string & tag teabags are plastic free- but are used mostly in their catering range for individually wrapped tea bags. They have said that “Tata Global Beverages has ongoing continuous improvement and environmental awareness. We are working towards more sustainable and biodegradable solutions for all our products”. They also advised that ripping the bag and dispersing the contents should help the composting process, but it’s important to note this won’t help with the microplastics problems. In March 2018 Tetley pledged to switch to a “100 percent biodegradable”, replacement, which they say will be available in stores in the near future. Clipper confirmed via Twitter that they do use plastic in their teabags, even in their unbleached organic tea bags, saying that “Currently, the filter paper in our pillow tea bags does contain polypropylene to provide the heat-seal function“. Their FAQ stated in June 2017 that “Square “pillow” bags do have a very thin layer of polypropylene plastic to enable the bags to be sealed, but in your compost bin this will break down into teeny tiny pieces”, which they have since updated. In January 2018 Clipper updated their position, saying “We have been working together with our packaging providers to find a better alternative to polypropylene in tea bags. We have already completed one production trial to test an alternative solution and have another planned in February . Being plastic-free is very important to us as a brand and we are working hard to ensure we can do this as soon as possible whilst also maintaining the high quality of our tea“, so we can hope to see plastic free Clipper tea shortly. Clipper previously reported that their string and tag teabags were plastic-free, but as of April 2018 have reported that these teabags also contain plastic. Typhoo have so far declined to comment. I’ll update as and when they do. (April 2018 edit – 10 months on they still haven’t commented). The Co-Op has stated that their “own brand tea bags, along with most in the UK, contain a very small amount of plastic binder to hold them together. This does not melt in boiling water. WRAP, the government’s official anti-waste advisory group, advises to put used teabags in food waste collections or in home composting, however, we are working with our suppliers to find a way to replace the plastic binder completely“. In January 2018 the Co-op announced it is to make its own-brand Fairtrade 99 teabags free of polypropylene, and the tea bags are due to go on sale by the end of 2018. Aldi has confirmed that their tea bags “contain a minimum quantity of ‘food safe”’resin” (plastic). It is worth bearing in mind that in most of these cases the packaging is not plastic-free, with the exception of Teapigs. Email or tweet the tea companies to ask them if they have stopped using plastic in their teabags, and if not, when are they going to stop. If enough people do this the companies will take notice. There are also some online petitions you can sign. This one asking the UK Government to ban all teabags containing plastic is a good starting point. If your preferred brand of tea isn’t on this list then why not email or tweet them to find out where they stand on plastic in tea bags – you can let me know the responses in the comments below. A cheery teapot (£24.95) with infuser basket so no need for additional tools or tea leaves floating in your tea. What’s your favourite loose leaf tea? Is there a 100% plastic free loose leaf tea? I’ve found some sold in a paper bag but it does have a sticky label on it which I suspect isn’t plastic free. I’d be keen to hear your finds! ps: Found this post useful? You might want to check out my guide to glitter – also a microplastic. Interesting… I use Pukka a lot, and always buy Clipper for normal tea (because they do organic) and rooibos. Will be checking back to see what they say! They have replied to me on Twitter and said that “Currently, the filter paper in our pillow tea bags does contain polypropylene to provide the heat-seal function. Most standard square or round tea bags in the UK contain the same. We hope this helps!”. Thanks Wendy for doing this research. It is something that I have become aware of in the past couple of weeks and I’m delighted to find that you have taken the time to source this information. I am surprised by Clipper :( Good to know about Pukka though shame their bags are individually wrapped. The packaging used in individually wrapped tea bags such as the Clipper ones, are they recyclable? Very useful resource. Any word on Typhoo? I am really disappointed to read a supposedly informed article and find it not only a challenge to work out the abbreviations but a complete annoyance. Many times I had to cut short my reading as I had to find other information to translate on the way. so is your article, it actually goes nowhere. Quite interesting I thought. The only thing which really annoyed me was the incorrect you’re in the penultimate paragraph. One, that’s just lazines on your part. Two, you aren’t exactly the most articulate so I’d steer well clear of criticising others if I were you. In the interest of pedantry, I should point out that WRAP is an acronym not an abbreviation. So, instead of critiquing the article, what information do you have about plastic in tea bags ? I expect new and different information, references and solutions. Thanks I’ve just been looking for this. I use Pukka and honestly thought the bags were in a paper packet – I’ve Been putting them in the recycling bin. Are they really plastic? It would be such a shame as they are perfect in every other way. I’d also be interested in how many bags are bleached. Great article. I’ve switched to loose tea and would be interested to hear any recommendations for places that sell in bulk (where you bring your own container) – particularly in East London! Oh yes, I would love to hear recommendations for bulk loose tea suppliers too! Mother Earth (Islington/Stoke Newington) does loose leaf teas. You bring your own container and fill from glass jars (as well as lots of other food/cleaning products). There is also Bulk Market a completely plastic free shop which had a pop-up in Dalston whilst trying to secure a permenant location. They should be opening in the next couple of weeks somewhere in east London. Hoping more and more places like this will emerge and even the big supermarkets are being pressured to provide plastic-free alternatives. Pestering companies can help lots though! In Lewes and surrounding areas we have Charlotte’s Cupboard. A charming little van where you take your own containers for all sorts of stuff . The company Tee Kampagne sells wonderful Darjeeling and green tea online and in bulk. Once composted, the remaining plastic/fibres can then be dispersed in the soil or can be picked out and disposed of. Thanks for sharing that Debbie – that’s good of them to give you such a detailed response! I must admit I haven’t heard of Dorset tea before but I must look them up. Thank you so much for this and it is grear to come across Moral Fibres. This explains why tea bags hang around in my garden long after composting. I will switch to loose leaf tea. Plastic packaging is also very difficult to avoid so I appreciate you adding this to the assessment. Such an interesting and informative article. I have always bourght Clipper teas because they are organic and fairtrade. Because they sound so ethical it’s all the more shocking to discover that they use plastics in the actual teabag. I have sent them an e-mail today asking what they intend to do about this and await a reply from them but it’s not a bad idea for each and every one of us to lobby the tea manufactures and hopefully get them to realise that we won’t as the spending public tolerate this. I emailed Clipper today following the program on tv “Inside the factory” covering how tea bags are made. I was totally unaware that the majority of the bags are made with 25% plastic and soo obviously not compostable! I shall be interested to see what they say but no doubt, going by other comments, that their bags will have an element of plastic. I have now moved to loose tea, just like my mother used to use and have to say it tastes so much better! Wow, I had no idea. Thank you for sharing. This makes me wonder if the tea I drink (Choice Tea) has plastic in it as well, kind of a scary thought. Thank you for contacting us here at Clipper. With regards to your concerns about there being plastic within tea bags we can confirm that certain types of tea bags do contain polymer fibres. 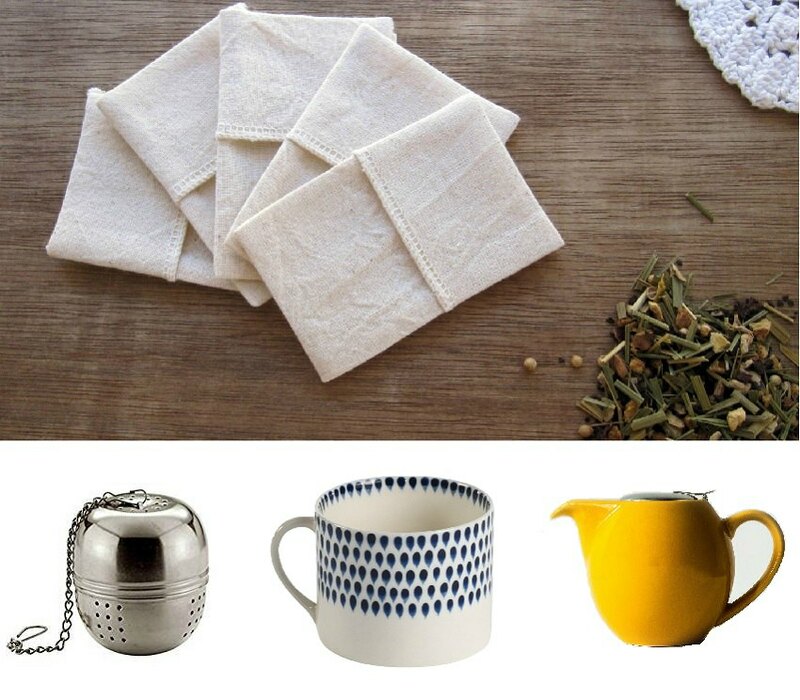 Standard square or round tea bags which are the most common in the UK market will all contain a type of polymer fibre as they are made using heat-sealable filter paper. The tea bag filter paper requires a means of sealing the two layers of paper together as paper will not stick to paper and glue is not used. The filter paper Clipper uses for this type of tea bag contains polypropylene to provide the heat-seal function. The filter paper is food grade for its intended purpose and meets all relevant UK and EU Regulations. In our opinion the tea bag paper we use is suitable for home composting. Square “pillow” bags do have a very thin layer of polypropylene plastic to enable the bags to be sealed, but in your compost bin this will break down into teeny tiny pieces. I hope this information helps with your enquiry. I note your reply Hayley Butler but regarding your last comment relating to how your bags containing polymer will compost and break down into “teeny tiny pieces”. That is the whole problem with “tiny pieces of plastic”! They become “micro plastics” which still end up in the environment causing untold problems! “Throw away plastics” which end up in the environment need to be eradicated! Hi Wendy, Thank you so much for this. Thankfully I’m using Pukka at the moment & I’ve just purchased loose-leaf rose; hibiscus & marigold from Healthy Supplies. I regularly use Clipper & I won’t be using them again. Even though some of their products are allegedly ‘safe;’ they’ve lost my trust. I can’t believe a producer of organic tea thinks this is acceptable. We need eyes in the back of our head – The food industry has a lot to answer for. Do you mind if I post your article on Facebook? My pleasure Mandy – it just goes to show things aren’t always what you think. Yes, feel free to post a link on Facebook! If you tear apart the paper packets Pukka Tea comes in it appears to have a layer of hidden plastic, so I’ve stopped using them also. I have wondered if it would be more effective lobbying the Soil Association or other bodies that issue organic certification so producers are no longer eligible if they use plastic packaging. Good point Heather re Soil Association! I guess they are certifying the contents only, not the bags nor the packaging. But, worth a punt. I might just get in touch today and see what they say. I’ll come back & share the feedback if I may. I’ve only just learned about plastics in tea bags & wondered why they never fully compost. I will go back to loose tea which I grew up on. Do you know if there is a Fair Trade brand of tea which does not use plastic? I only became aware of this when watching BBC programme about tea leaf factory. I buy Waitrose Fair Trade tea but think will buy infusion tea pot and tea leaves but not sure if able to buy Fair Trad loose leaf, will start looking today. Waitrose dobFiartrade loose leaf breakfast tea. I have bought and infused to fit in my teapot so will see how it goes. Waitrose do Fartrade loose leaf breakfast tea. I have bought and infused to fit in my teapot so will see how it goes. Thanks for highlighting this issue. I’m always trying to reduce single use plastics. I will switch to loose leaf tea and pukka for special teas. Do you know of a loose leaf tea that comes in packaging without the cellophane box cover or plasticised outer bags? Do Tesco tea bags have polythene, or any other plastic, in them? Hi David, yes I have just emailed Tesco about plastics in tea bags and the Customer services manager has replied that all Tesco tea bags contain 25% polypropylene. Nothing for it but to switch to loose leaf just like my grannie made tea. Great review, thank you for sharing – I just embarked on a similar exercise writing to the manufacturers after finding out via friends about the TV exposee of this shocker! The replies were up to 30% PP for the heat seal and as you say, other ‘posher’ ones proud of their credentials spoil it with a plastic liner in the box. I feel a campaign coming on, the ‘teeny tiny pieces’ response that is now on Clipper’s web site really riled me, with the focus on microplastics these days, either manufacturers have no idea or they think people aren’t as clued up as we are. We just ran a sustainable event using corn based plastic alternative containers to improve compostability of the food waste, who knew this would render tea bags themselves the most plastic rich ingredient?! Is there any news on whether PLA or other plant based plastic substitute has been considered in tea bags? If it works to line hot drink cups it must have similar properties? Watch this space, happy to share any action I embark on to change this tiny but oh so important piece of my tea enriched world! Do cafe direct tea bags contain plastic? They don’t appear to be answering emails, and I’ve seen the question asked on Twitter a couple of times without response (e.g. https://twitter.com/busygreenmum/status/919839071941349376). I have just tweeted them so will let you know! I was unaware of polymers being used in producing tea bags but I have been using PG tips loose leaf tea for many years as I have tried different tea bags, but there is a definite difference in taste – other people have thought I was being fussy, as they say tea bags taste the same, and that loose tea is too messy! I always use a nylon mesh tea strainer then use the spent tea leaves either in the garden or recycle them in my waste food caddy. PG Tips loose tea comes in a cardboard box which is recyclable, but it has become difficult to locate in major supermarkets. Maybe start lobbying for changes in tea bags production? I’ve also started a petition to ask the Soil Association to stop certifying teabags which contain plastic, as it seems to directly contradict their standards. At least if they couldn’t certify teabags containing plastic we would be safe buying organic tea! Hi. This is a really useful article and all the comments are great too. I drink decaffeinated tea and this compounds the issue as there seem to be very few suppliers of loose leaf decaffeinated tea. I am trying Brew Tea Co decaffeinated at the mo. It’s weak as dishwater, and my friends would think it’s hilarious saying that as I am always asked if I would like some tea with my milk when someone sees me make a cup of tea. Any suggestions? After reading this article I went online and bought a catering pack of Tetley decaffeinated teabags, but it appears they are not the ones with string and tag, so I think they still have plastic in them. It’s a minefield! I only drink decaff too, but I like my tea milky and weak! That being said I am still trying to find loose leaf decaff that I really love. I’ll keep you updated! Loose leaf decaff is very hard to find because the decaffeination process is so disruptive to the tea leaves – they all disintegrate. Hi, can you tell me how to find the petition please? I would like to sign it! This is unbelievable ! So many hidden plastics you wouldn’t dream of ! Thank you for this, I am on loose tea and Pukka tea from now on. This message should be spread everywhere. I’ve shared it with everyone I know – lets get the message to other brands that we won’t be buying their tea anymore. Great article, really useful, thank you. I love that TeaPigs stitch their teabags shut rather than using plastic adhesive. I recently started using Yogi tea bags – does anyone know if they contain plastic? I don’t I’m afraid, but if you email them I’d love to hear their response! yes, they introduced last year a plastic coating inside every ‘paper sachet’ for each individual tea bag. It’s hard to see and I’m sure most people throw them into the recycling still rather than putting in the incinerator/landfill waste stream. Thanks for this information, I had no idea it was so many brands that have plastic in! I have been drinking pukka tea but only realised today that the individual wrappers have plastic in when I peeled then apart and looked a bit closer. Thanks for finding an alternative. Their standard pillow tea bags (the ones without string) contain plastic, but the string and tag bags don’t, and they do sell loose leaf tea. I’d like to know about Celestial Teas, are there plastics in their bags? Yogi? Some the other teas besides Tetley and Lipton are new to me. I’m not sure Rosetta, but if you contact them I’d love to hear their response. My wife drew this to my attention today. With the horrors revealed by Blue Planet 2 about plastic in the ocean it makes you think! I love a cuppa but, want to look after the earth too. I doubt very much the inventor of the tea bag used plastic. Maybe it’s time to invest in a small tea pot? The best thing we can all do is individually email our favourite tea companies and ask if they’ve changed to paper-only tea bags yet. It’s not fair (and not very useful) to assume Wendy should keep a check on the companies for us. Our collective ‘pester power’ voices are more likely to have an effect. I have recently given up tea bags for the plastic reason. I’m a bit shocked that even Clipper use plastic. Great idea Erica – I have updated the article to include the email addresses and twitter handles of the tea companies listed to enable this pester power! So useful, thank you! Do you have any info. on Heath & Heather or Qi teas? Sorry, no, but if you email them I’d be interested to hear their responses! I too am interested in Qi teas so I emailed them and received a prompt and comprehensive reply which I quote below. Although they do currently have plastic in their teabags I was very impressed by their ethical stance as a whole and will continue to support them by buying their loose teas which are available via their website qi-teas.com. sold in a plastic bottle). in China and trade directly with our farmers. Thanks for getting back to me, I can confirm that, with the concerns being raised regarding the impact of microplastics on the planet, we are currently looking into what options are available to us, as a small independent tea brand, to avoid the use of thermoplastic in our teabags such as draw-string and hand-sewn bags and I will keep you updated with any developments. As mentioned, we continually strive to be as ethical and environmentally responsible as possible, the paper we use is unbleached and free of staples. I know 3 places in Edinburgh that sell loose tea. New Leaf Coop, PekoeTea and Rosevear Tea. I don’t know what flavours or decafs they do but I’m defiantly going to stock up on some now! Great article. Thanks Zoe! Great list – adding these to my list of places of visit! I bought some nice loose leaf tea from Falko in Bruntsfield too – it even came in a paper bag! I ordered a kilo of Edinburgh Tea and Coffee Company’s Chun Mee from Real Foods which comes in a foil-lined paper bag, don’t think there’s plastic in that but now I’m wondering. Thanks Lorraine – glad you found it useful! I have a cheap metal strainer that I bought in the supermarket years ago – this one is the same and £2.99: https://www.tesco.com/direct/apollo-tea-strainer-tin-chrome-10cm/306-8558.prd?skuId=202-0377 And of course – feel free to share! Thank you for a very informative article. Like it a lot. I will be going over to loose tea once the current batch of tea bags has run out. Shame about Clipper as they don’t use bleach in their tea bags and sell organic too. Given the efforts they go to make their tea environmentally friendly, I would have thought their responses would have included what they are intending to do about it, but they didn’t i.e. reassuring us that they are seeking alternatives. Will be increasing my efforts to grow as much of my herbal tea as possible. Use Pukka teas often but don’t like the plastic in packaging. Unfortunately growing peppermint has never gone well for me and that’s my favourite, well peppermint and nettle so halfway there. Will keep trying. Aah, yes. Pukka Tea Bags come individually packaged in sachets, so what they are saying is that the sachets that the individual tea bags are packaged in are plastic, but the actual tea bags are not sealed using plastic – https://www.pukkaherbs.com/contact-and-social/frequently-asked-questions/tea-packing-manufacturing-queries/are-your-tea-bags-sealed-using-any-forms-of-glue-or-heat/ It’s frustrating when one of the few plastic free tea bags are then individually packaged in plastic. Should be available by the end of 2018! I have made similar enquiry of the Cornish company, Tregothnan, having watched the recent programme about factory production of Typhoo tea. They also use Soilon in their teabags, for the reasons stated above. I have been using some loose leaf tea options myself, recently, although tea bags for when a friend drops in, are quicker. I am now coming round to thinking I need to abandon teabags of any kind, as even 1% being non-biodegradable is too much when you consider the volumes of teabags being used daily by all of us. Great article but it did leave me in some despair. I’ve been trying to eliminate plastics, but still find this hard as so few goods are plastic free. You’ve done a great job of pointing out something that had escaped me…teabags! Pukka tea: “Each teabag is individually packaged in a plastic sachet” !!! That is far more plastic than the tiny amount contained in the teabag itself. Stop buying Pukka! Again, loose tea seems to be the way to go although I haven’t found a supermarket that sells loose leaf decaf Earl Grey. It is available online but very expensive, so I may have to go back to normal non-decaf. Interestingly Sainsbury will be launching a new range of TTD tea will be biodegradable so it is possibly something that might filter down to the normal ranges in time. What do we know about Tregothnan tea bags? Someone asked about Cafedirect but I can’t see an answer. They are my normal tea suppliers, so I’m interested to know if I should switch! Sorry Bill, there’s just one of me and I work part time and have two kids so it’s not always possible to answer every query! I’ve had a look on Twitter, and they don’t appear to be answering emails or responding to tweets on the subject. I’ve seen the question asked on Twitter a couple of times without response (e.g. https://twitter.com/busygreenmum/status/919839071941349376). I have just tweeted them so will let you know if I hear back. Sorry, not intended as a criticism – I just wanted to know the answer. Hi Bill, CafeDirect replied on Twitter today – “the round bags are made from 70% paper & 30% plastic. They are also 99% compostable, including the tea inside them. We’ve set a target for 100% of our packaging to be easily recyclable or compostable very soon”. Hope this helps! Thank you for your email and for your interest in our teas. Our Tick Tock teabag paper is made up of cellulose (wood pulp) and a small amount of food safe thermoplastic fibres (polypropylene). The thermoplastic is ‘woven’ into the cellulose paper and it is used to create the seal when the teabag is formed. These teabags are the current industry standard, however, please be assured that we are constantly reviewing our blending and packaging processes. As soon as a good alternative to these heat sealed teabags is available it is certainly something that we would look into changing. If you are keen to not use tea bags that contain these fibres perhaps I can recommend our Tick Tock Loose Leaf tea which is delicious. Alternatively, our sister company Dragonfly tea have a couple of different tea bag options. Their Tea House and Speciality ranges are not heat sealed meaning that their teabags are both biodegradable and compostable. The tea bags for Dragonfly Tea House range are not heat sealed and therefore do not contain any fibres for heat sealing. They are made up of a lightweight, non-heat sealable tissue comprised of a special blend of soilon. This tissue has a high wet strength as well as being odour and taste free, making it ideal for use with large leaf teas! The tea bags for their Organic Dragonfly speciality range are also not heat sealed and do not contain any fibres for heat sealing. They are made up of a lightweight, non-heat sealable tissue comprised of a special blend of abaca and selected cellulosic fibres. This tissue has a high wet strength as well as being odour and taste free, making it ideal for use with infusion teas! Dragonfly also have a range of loose leaf teas. So if their sister company uses bags that do not contain fibres why don’t they also use them!!!?! We have chosen the lightest form of packaging available for our loose tea, and though not directly recyclable in by most council collections, it is still suitable for incineration. With currently available packaging materials, it still represents the best way of packing our tea to ensure freshness and minimal environmental impact. Please do visit the links below that will share some of what we are doing as we move towards carbon neutral status by 2020. I had an email exchange on this with Clipper in July, and got nowhere. I got the standard reply above, and wrote back asking why, if Pukka could do it, couldn’t Clipper? and were they going to progress this issue, and surely it was in their business interests to change to non-plastic teabags? I got no reply to this. Seems they’re very blinkered and defensive on this issue. If you love tea so much, why are you buying tea in tea bags? Buy loose leaf tea. If you enjoy tea, buy loose leaf tea, do not buy tea in tea bags. If you wish to avoid plastic, buy loose leaf tea, do not buy tea in tea bags. Teapigs is not quality tea, it is Tetley, owned by India conglomerate Tata. If concerned about plastic pollution, then should also be concerned about disposable plastic-lined coffee cups we throwaway 2.5 billion every year in the UK. Support introduction of latte tax at the next Budget. Not as a revenue raising measure, to deter use of disposable cups. The way to drink coffee or tea when out is to relax in an indie tea shop or coffee shop served in ceramic or glass. 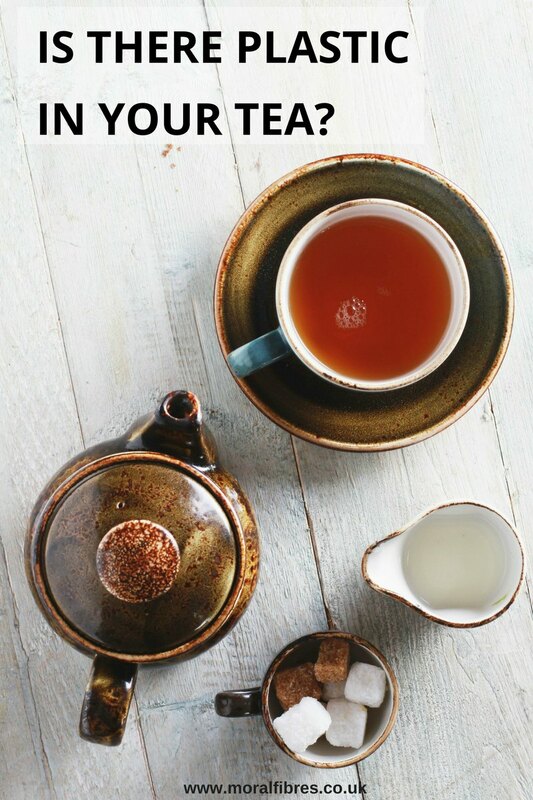 If really love tea, then an absolute must method of making tea, carefully weigh tea and water, pour in boiling water, time, then release into and serve from a carafe. The people reading this care about plastic reduction but the general public don’t. The only way we can effect reasonable change is if large brands can be pressured into making biodegradable packaging. Tea bags aren’t going anywhere unfortunately. I’m changing to loose leaf tea. Please everyone, keep trying to influence people against using plastic bags + big thank you for this article and for all these replies. Hi, we have supplied loose leaf tea for ages and always sing the praises of it over tea bag tea, we have a vivid display on our shop counter which shows what goes in to high street tea bag and what you could purchase from us! It wins every time, the tea bag tea is just dust while ours next to it clearly show bud and 2 leaves. Tea bags all came about because of our lack of time, rush, rush, rush, tea can not be and should not be rushed. Ditch the tea bag and get back to loose leaf tea and your life will slow down and you will enjoy it a lot better. Hi and thank you! This is a really interesting article and verified what I had heard before but with far more valuable information. Personally I have always preferred loose leaf tea (though a bit of a battle with my husband) as without doubt it tastes infinitely better and also works out cheaper. Now the plastic contained in the teabags has clinched this and we will use only loose leaf from now on. I recently bought a great little metal teapot with a reservoir for the leaves from Asda. For those in the Shropshire area you can get a fantastic range of loose leaf tea from the Tea Emporium, The Square, Ironbridge, though I suspect that there may be some plastic in the packets they sell it in. They weigh it by the gram so you can get as much or as little as you’d like. One further comment: it is very interesting that it is always up to the poor old customer to try to force change rather than governments legislating against plastic pollution. This is wrong and has to change. Plastic – or any other kind of pollution – shouldn’t be a matter of individual or lifestyle choice. It must be prevented at international level. I’m trying to reduce my plastic usage by making as many small changes as I can. I’m intrigued by the glitter- I had no idea. Is this true if glitter used in for example bath bombs too, or is there a difference in craft versus cosmetic glitter? Thank you Wendy for this very useful information. Friends of the Earth alerted me to the plastic in tea bags issue today, following their recent plastics campaign. I immediately went on Google to find out what tea providers were culpable, stumbled on your blog and was horrified to learn that Yorkshire tea does use some plastic. I have taken your advice and emailed them to find out when they think they’ll find a 100% plant-based solution as they have promised … I do buy some Pukka tea as well, but again, they do still have some plastic packaging. Think it’ll be loose-leaf tea for the foreseeable future. Thanks again. What a great site you have! Great article and really interesting to read all the replies from the retailers/manufacturers. Thanks for your patience while I waited for our technologist to get in touch. They have advised me that unfortunately there is a small amount of plastic in all our traditional style tea bags- all those except the pyramid style. The plastic is used as a bonding material and helps keep the bags sealed when they are brewed. This is an industry wide problem an we are currently looking into changing. I hope that helps you, but please let me know if I can help further. Thanks for the article Wendy, and to Zero Waste Weekly for sharing you post. I’d just put the kettle on to make a brew when I came across this. It’s so disheartening 😔 But wonderful that people are now coming together to make a difference. Hopefully there is still time to save the planet! I’m about to find my scissors and tea strainer!! I use Scottish blend any idea if they have plastic in their tea bags? –	Polythene PE or polypropylene PP fibres. The teabag filter paper contains polypropylene at a level of approximately 25%. Polypropylene has a melting point of approximately 165°C where as your water for your cup of tea boils at 100°C so no polypropylene is present in your beverage. Polypropylene is the thermoplastic component that enables the tissue to seal as the bags are formed. Thanks for this, it’s eyeopening – I’ve been disposing of my teabags with my waste food for years now and though I was doing the right thing :( I must admit though, purely for reasons of laziness, I’d love to not have to switch to loose leaf tea! I’ve recently heard of the Brew Tea Company – their teabags are biodegrable (using the same material as the Teapigs brand). Having not tried them yet, I don’t know if they are pacakged in plastic or not! I emailed Typhoo (consumer.relations@typhoo.com) who couldn’t even be bothered to fashion a response. My message was polite but they obviously don’t care. On Facebook today, co-op have announced all their own brand tea bags are soon to be not only fair trade, but also entirely plastic free. Yes, I have often wondered why tea bags don’t completely degrade in my domestic composters. They are at the bottom sometimes, must be a year after being put in at the top. Now I know why! Congratulations to Moral Fibres and everybody who has contributed to this thread. I have a composting website and will be referencing your work and results on plastics in teabags. Talking to Gardening Clubs over the years it is apparent that there is a wide range of people who were aware that tea bags were not fully compostable but did not know why. Thank you Wendy for highlighting the hidden truth about plastic in teabags. Thanks to David Attenborough we are now much more aware of the problems with plastic. I just wonder…. if microplastic might be making dolphins unable to feed their pups could it be getting into our systems with every cup??!! Could this be an environmental cause for rising dementia! The only hope is that the power of the people will eventually pressurise the industries to come up with healthier alternatives in a very competitive market. I’m going to go back to loose leaf tea!! There is an easy way to tell who uses plastic in the UK. Every time you see a tea bag that is round or square with edges that are crimped, there is plastic, mainly polypropylene which is used to heat seal it together. Over 80% of the UK tea bag industry use this method to seal their tea bags and this includes Typhoo, PG Tips, Tetley, Taylors etc. In general tea bags that are folded at the top with a string and tag do not contain polypropylene however there are exceptions even to this. The best way of making sure is not to use tea bags! The best solution is to go back to loose leaf tea. The production is greener as there’s less processing and packaging and you get a much nicer cup of tea, in my opinion. Using a tea pot and strainer or the most convenient solution of all is a stainless steel infuser which can sit in your cup or tea pot until the is brewed properly. Take it out and you can add the tea leaves directly to your garden or compost heap. Pingback: PLASTIC FREE TEA – ………. This is super Sue, thanks for sharing with us all! Any word on Waitrose Assam tea? Ahrggggggggggggggggggh, I had NO idea!!! I drink so much tea! Going to try and use loose-leaf at home where I can! Thanks for the heads up! I listened recently to a radio program that suggested that there are small amounts of plastic in Tea Bags and I was astonished! I then found this very helpful web page so thanks for posting it. I have emailed Twinings and asked BBC Gardeners World to take a look too because gardeners are unwittingly putting plastic into the food chain….! Thanks Stuart, glad you found this page useful! Great call emailing Gardener’s World! TeaPigs pyramid bags are indeed biodegradabe and compostable. However…….NOT in your back garden. The material they use is still a plastic although it is called a bioplastic. It needs to be composted in an Industrial Composting facility. This is what the EN13432 Industrial Compost notice means on the packaging. If you are lucky enough to live in an area where the council takes away your food waste, and you put these tea bags in this, it can be composted. However, there are few councils in the UK who offer this. Feel a little sick drinking my tea now, both because of the plastic now in my system and the environment!!! Does anyone know about Duchy teabags from Waitrose? (Apologies if this has already been discussed). I was under the impression that they didn’t use plastics …. I’ve also been using Clipper Organic Fairtrade unbleached bags for years. I put the used ones in my wormery. The worms do a pretty good job of digesting the bags though there is often a bit left. Now I learn I’ve been feeding them plastic! Yup, this post is why I will always read your stuff, my fav post! i would say an equally and perhaps more worrying development, new to me, is teabags made entirely from a shiny plastic gauze, with no pretence at impersonating paper. One such product is Morrison’s Peppermint and Liquorice teabags [ ‘The best, limited edition, 15 bags’] but there are quite a number of others on their shelves. Tetley website says they are 99% biodegradable. Our paper teabags contain a small element of plastic that seals the teabag when heat is applied. We are looking into suitable alternatives and hope to be moving to a new renewable material derived from cornstarch but in the meantime, we would recommend our loose teas for a plastic free cup of tea. We are actively engaged in removing all plastic from our products and our Williamson Tea Foundation is currently in development trials for all our farms to utilise biodegradable materials at every stage. This is really interesting. I drink Twinings Earl Grey and Peppermint and always put the teabags in my food waste bin (collected by the council). Is this still ok to do? I imagine if in a home compost bin it would not. Wonderful post! Thank you for highlighting this important issue. I always stock up on Fortnum & Mason when in the UK, love their quality of tea. Mostly loose tea but sometimes tea bags come in handy when I’m in a hurry so I do get them too. Will check with them and post here unless someone already has? Looks like the tide is turning, thank goodnesss! I use tea bags (Yorkshire Tea) and loose tea as the fancy takes me. YT has the plastic-y tea bags, comes in a card box but is wrapped in plastic film. Loose tea comes in what looks like foil bags but may also contain plastic. I use an old fashioned metal tea-strainer with loose tea, and throw the used leaves on the garden. Hmm. Plastic has sneaky ways of creeping through our defences via the humble cup of tea. Thank you for such an informative article. I have been putting used tea bags down the waste disposal unit so presumably I should stop immediately as plastic will get into the water system. Yes? My pleasure Jacqueline! I would tear open the teabag and empty the contents of the tea bag into the waste disposal unit, and put the actual teabag in the bin. Thanks for putting in a link to my petition to Unilever/PG Tips on your website. I’m sure you’ve heard the good news – PG phoned me last week to tell me personally that they are about to ditch plastics from their teabags. It’s made of a material called PLA, a plastic polymer, that is still not compostable in a garden composter but is plant-based and compostable in industrial composting systems. Hello Wendy , thank you so much for all your research into “plastics in tea bags”…..
our world and is destroying our eco system….. I have just purchased some loose tea and am using my grandma’s old wonky metal teapot to make a plastic free cup of tea! SHAME on the manufacturers for hiding this damming information for so long. We have a right to know what we are consuming . Out with the bags and in with loose tea! How about Jackson’s of Piccadilly? For a plastic free teabag and a really great tasting cuppa I haven’t found better. The brand is now owned by Twinings, so trying to research the company always leads to the Twinings umbrella – but according to Which? Gardening in 2010 (https://www.theguardian.com/environment/2010/jul/02/teabags-biodegradeable) theirs was the only ‘conventional’ teabag that was polyproylene-free at that time. They continue to use stitched bags, the tea is Fairtrade, and it makes more well-known brands taste like ditchwater. I’m not sure if the packaging is completely plastic-free – there is some sort of thin mylar-like material which I’m guessing contains some sort of plastic sealing the bags in groups of 20 inside the card box – but the manufacturers claim the packaging is 100% recyclable, and the amount of plastic is at least fairly minimal compared to Pukka’s individually packaged bags. Unfortunately as far as I can tell it can only be bought from Waitrose or Ocado, but from Waitrose it costs about the same as a box of PG Tips from Sainsburys. I’d love to see it become more popular and more widely available. I’ll be composting the remainder of their tea bags in the green bins for the council, which will reach temperature high enough to decompose the polypropylene. Once all the tea bags are done, I’ll make my own cotton bags to brew loose Red Label tea leaves. Just wanted to add here that a reader let me know that both Hambleden Herbs and Cotswold Lavender tea are both plastic free. “Our Tick Tock teabag paper is made up of cellulose (wood pulp) and a small amount of food safe thermoplastic fibres (polypropylene). The thermoplastic is ‘woven’ into the cellulose paper and it is used to create the seal when the teabag is formed. These teabags are the current industry standard, however, please be assured that we are constantly reviewing our blending and packaging processes. As soon as a good alternative to these heat sealed teabags is available it is certainly something that we would look into changing. Thanks for this comprehensive survey. Think I’ll be dusting off the old Brown Bessie (teapot). Legislation is really the only way to deal with plastics in the food chain, or we’ll be eating and drinking plastics for decades to come. Of course a change will involve a cost initially, but the same ‘it’ll cost too much’ argument was used when CFC’s were banned from aerosols in the early 90s – and that didn’t exactly bring the world economy to its knees. I appreciate the research you have done but I think you need to dig deeper into what is being offered in place of the polypropylene used in teabag paper at the moment. Most companies are looking at Poly Lactic Acid (PLA) as a replacement which is often made from Genetically Modified corn, sourced from the United States. Whilst it is classified 100% biodegradable and compostable, it will only break down if given a high temperature and lots of oxygen meaning that it will behave exactly the same as Polypropylene in your home compost, landfill or the ocean and not break down! This is why these companies who are using it tell you to put it in your food waste and not compost it at home. So we have a compostable item which cannot be composted at home! Great eh? Here’s the real kicker – less than 25% of the UK’s food waste will go to the correct type of industrial composting needed to break down the PLA, so we’re not even really improving the situation we’re just replacing one plastic with a bioplastic instead, a genetically modified one at that! Personally, I’d prefer the GM stuff stays away from my food and drink and if that means that, for now, we have to stick with plastic whilst a better solution is found, then I’d prefer that! Credit to those companies, such as Yorkshire Tea, who are making the responsible decision and not just chasing good PR like PG Tips and Coop. I have visited this article several times over the last few months, and it is always kept so well up to date. I can only hope to be so efficient at my end! Pingback: These Popular Tea Brands Possess Dangerously High Levels of Pesticides! Hi. Yorkshire Tea have just answered my tweet today saying they’re going non-plastic. Pingback: Is Tea Vegan? Are You Getting Very Hot To The Answer!